This entry was published on 20 junio, 2018 and was updated on 20 junio, 2018 / AIDEA. Posted in Recursos, Educación Especial, Libros. Bookmark the permalink. This entry was published on 20 junio, 2018 and was updated on 20 junio, 2018 / AIDEA. Posted in Recursos, Educación Especial, Artículos. Bookmark the permalink. This entry was published on 18 junio, 2018 and was updated on 15 marzo, 2019 / AIDEA. Posted in Recursos, Terapia Acuática, Enlaces. Bookmark the permalink. This entry was published on 18 junio, 2018 and was updated on 18 junio, 2018 / AIDEA. Posted in Recursos, Terapia Acuática, Enlaces. Bookmark the permalink. This entry was published on 18 junio, 2018 and was updated on 18 junio, 2018 / AIDEA. 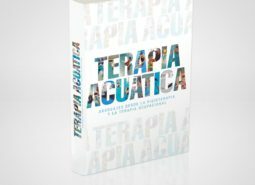 Posted in Recursos, Terapia Acuática, Libros. Bookmark the permalink. This entry was published on 18 junio, 2018 and was updated on 18 junio, 2018 / AIDEA. Posted in Recursos, Terapia Acuática, Artículos. Bookmark the permalink.